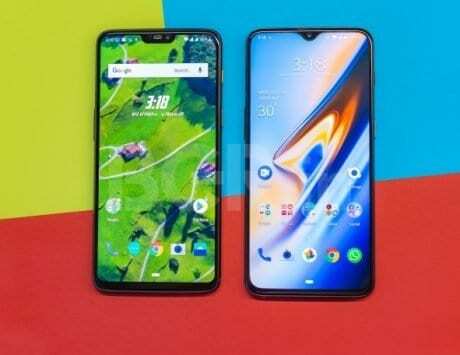 From OnePlus 6, Huawei Nova 3 to Vivo X21, here are the best smartphones under Rs 40,000 you can buy in October 2018. As Flipkart and Amazon India prepare for their annual festive season sale, there is a huge competition between these two e-commerce players to offer the cheapest price on products across a number of categories. As always, the best discounts can be seen on smartphones, with some smartphone makers offering over 60 percent discount on some of their devices. OnePlus 6 is obviously the most recommended device in this price segment but it definitely has challenge from Samsung and Huawei. During the Amazon Great Indian Festival, the smartphone will get a bit more affordable. With that in mind, here is a look at top smartphones to buy under Rs 40,000 this October. There is no second thought to that fact that OnePlus 6 is the best smartphone in the sub-Rs 40,000 price segment. 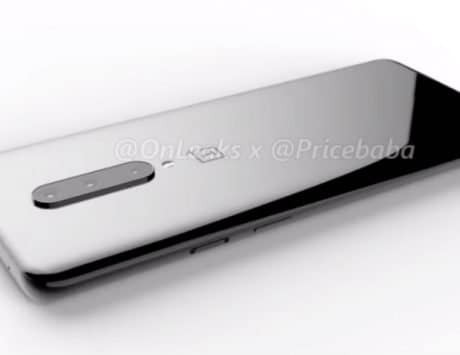 With OnePlus 6, OnePlus is not only offering the modern design seen on its predecessor but has also added a notch for an even taller display aspect ratio and a faster processor. OnePlus 6 starts at Rs 34,999 exclusively on Amazon India and during the Great Indian Festival, it is being discounted by Rs 5,000 to start at Rs 29,999. OnePlus 6 features a 6.28-inch Full HD+ AMOLED display and is powered by Qualcomm’s newest Snapdragon 845 SoC. It comes with 6GB or 8GB of RAM and 64GB or 128GB or 256GB internal storage. It features dual rear camera setup comprising of 12-megapixel and 16-megapixel sensors and a 16-megapixel selfie shooter. It packs a 3,300mAh battery and runs OxygenOS 9 based on Android 9 Pie. There is no reason why anyone should not buy the OnePlus 6, if the budget allows, but if you are looking for an alternative then the Huawei Nova 3 will be your best bet. The Nova 3 features a much better design than OnePlus 6 with glass back and support for Huawei’s proprietary gradient design. 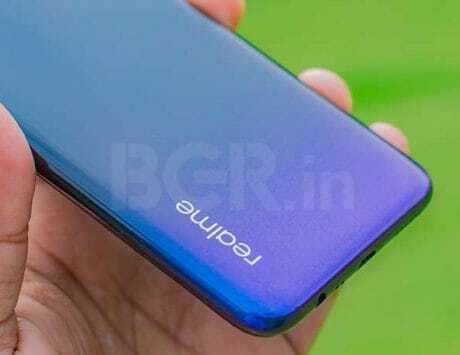 The Iris Purple variant of Huawei Nova 3, in particular, looks different from most other glass back smartphones in the market. 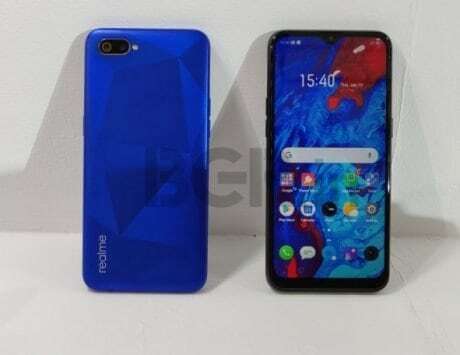 In terms of specifications, we are looking at 6.3-inch Full HD+ notched display, Huawei Kirin 970 chipset, 6GB of RAM and 128GB expandable storage. There is a 16-megapixel + 24-megapixel dual rear camera setup and a 24-megapixel + 2-megapixel dual front camera setup. It runs Android Oreo and is backed by a 3,750mAh battery. The Nova 3 is priced at Rs 34,999 and comes in only one storage variant. 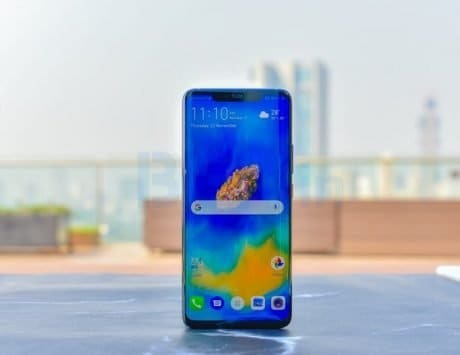 LG G7+ ThinQ is another strong contender in the sub-Rs 40,000 price segment. 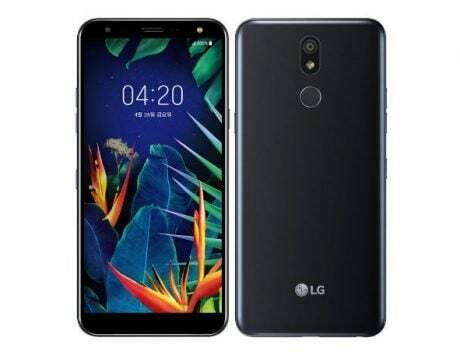 The newest flagship smartphone from LG offers brighter display, IP68 water and dust resistance, faster processor and even retains the 3.5mm headphone jack. It also features a dedicated button to activate Google Assistant. The G7+ ThinQ features a 6.1-inch LCD display with Quad HD+ resolution of 3120 x 2160 pixels, which can max out to 1000 nits of brightness. The samrtphone is powered by a Snapdragon 845 chipset coupled with 6GB of RAM and 128GB storage. There is dual 16-megapixel rear camera setup and an 8-megapixel front camera. The G7+ ThinQ runs Android Oreo and will be upgradable to Android 9 Pie. It is backed by a 3,000mAh battery and is priced at Rs 40,000 on Flipkart. Samsung Galaxy A8 Star is the newest addition to Samsung’s premium mid-range smartphone portfolio. 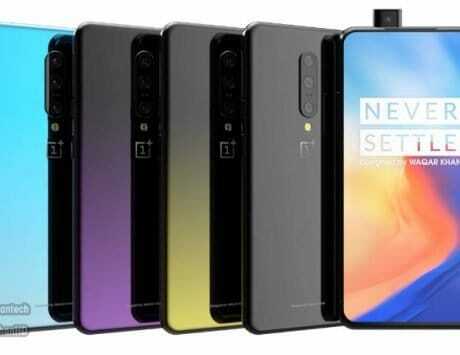 The smartphone was introduced as the rival to OnePlus 6 but has failed to really challenge OnePlus’ offering. It also features a metal and glass back design similar to other smartphones in this list. It is powered by Qualcomm’s mid-range Snapdragon 660 SoC coupled with 4GB or 6GB of RAM and 64GB internal storage. 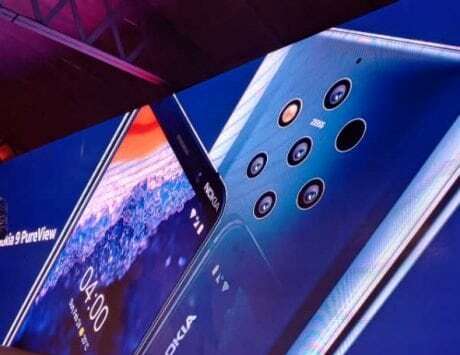 It includes dual 24-megapixel and 16-megapixel rear camera setup and a 24-megapixel selfie camera. It runs Android 8.0 Oreo overlayed with Samsung Experience 9.0 and is backed by a 3,700mAh battery. The smartphone is priced at Rs 34,990 and will be available from Amazon India. Vivo X21 is one of the futuristic device and comes with one feature not available on any other smartphone in this price segment. It is a feature not found even on more expensive smartphones like the Samsung Galaxy Note 9 and Apple iPhone X. It houses the fingerprint sensor under the display and users can unlock the device without lifting it from the table. It has a 6.2-inch AMOLED display, Snapdragon 660 processor, 6GB of RAM and 128GB internal storage. It offers 12-megapixel + 5-megapixel dual rear camera setup and a 12-megapixel selfie shooter. The smartphone is backed by a 3,200mAh battery pack and is priced at Rs 31,990 on Flipkart.